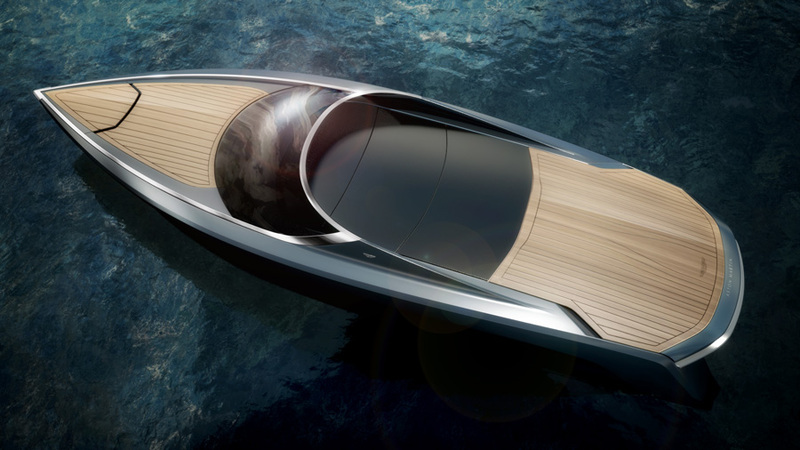 Dubai, 5th June 2015: Quintessence Yachts and Aston Martin have revealed more details of the first Aston Martin powerboat, which will be completed in September. Following on from the official presentation of the renderings at the Aston Martin HQ in Gaydon in April, a number of revolutionary features of the new AM37 were showcased in the Armani Hotel in Dubai. These included the powerboat’s unique sliding deck and a cool collection of onboard computer technologies. 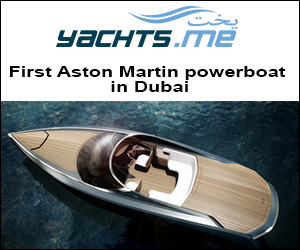 The first powerboat to carry the name and the famous wings of this iconic brand represents the translation of the Aston Martin’s DNA in terms of ‘beauty, power and soul’ into a totally new maritime concept. 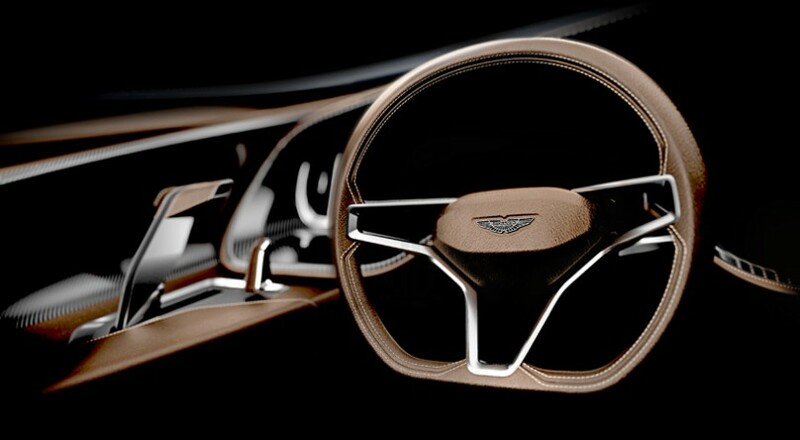 This impression was further enhanced in Dubai as a number of technologically advanced yet user-friendly features were disclosed to a specially invited audience by Quintessence Yachts and Aston Martin Dubai, in partnership with the Berkeley Group. 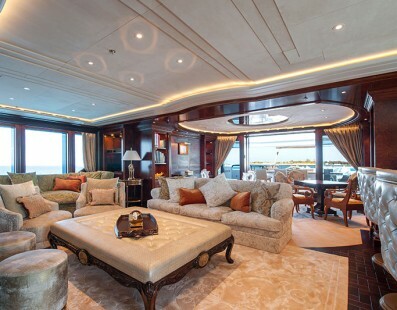 One of the most striking is the sliding deck which allows owners to completely cover the cockpit of the boat at the end of their day out on the water, protecting it from the elements and uninvited guests. The deck consists of three carbon panels which can be operated by the electronic command of the AM37 key, folding under the aft deck to uncover the cockpit. 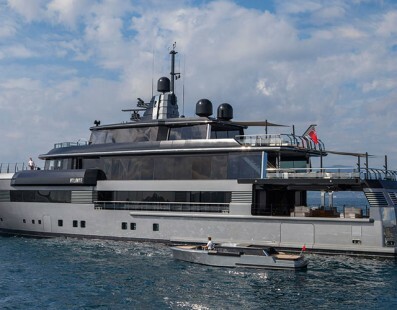 Once the cockpit is open, the aft deck slides back to facilitate access to the dock and allow those onboard to easily dive into the water and open the swimming ladder. The deck can also be raised to give access to the engine room, storage compartments and bimini top. This unprecedented feature exudes comfort and convenience, removing the need to place all onboard gear and cushions into the interior at the end of each day. With a simple click of a key, owners can close their boat and leave it ready for the next ride. 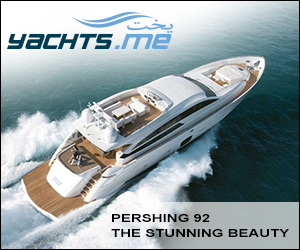 The extraordinary experience provided by the AM37 is further enhanced by its exclusive onboard technologies. The air conditioning, fridge and espresso machine can be started on remote while still at home or driving to the marina. 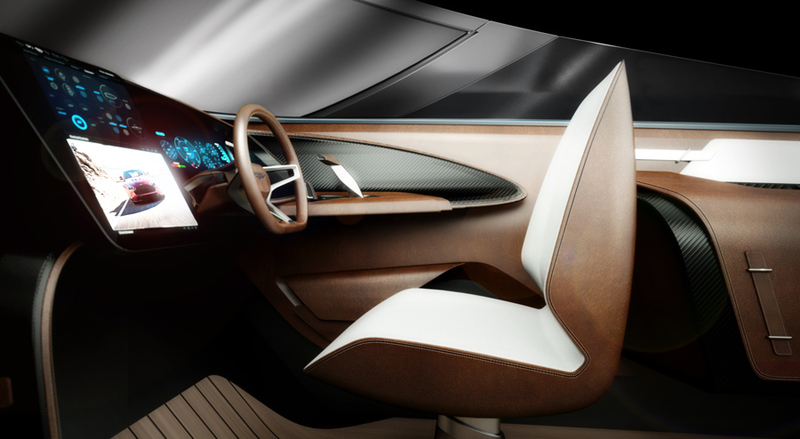 The AM37 also features integrated navigation, control monitor and entertainment systems, with advanced multimedia functions and interactive voice control. The user interface of the multimedia and entertainment system is installed in the 15-inch HD touchscreen on the dashboard, which guests can also use. 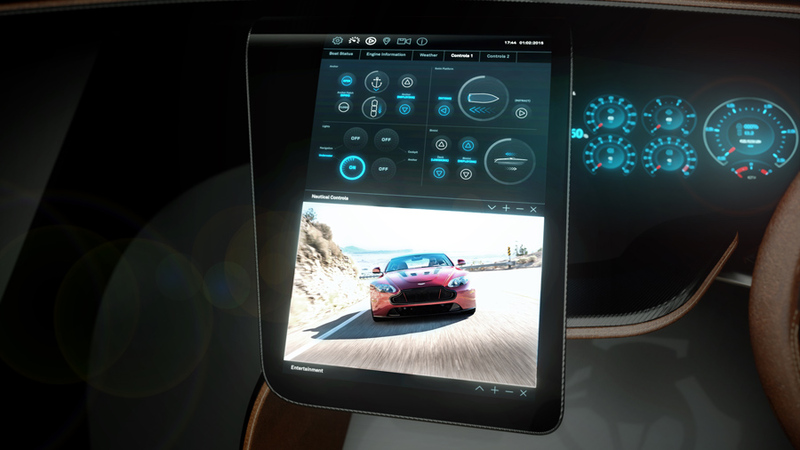 Owners will have their own dedicated display for monitoring engine status and navigation. More features related to the performance and innovative technologies of the AM37 will be disclosed at further events in the run-up to the official presentation of the first Aston Martin powerboat this September. Glitzy Dubai is the United Arab Emirates’ vacation hot spot.